• Online registration available until 7:00 am on race day! OR UNTIL THE RACE SELLS OUT. • Entry fees are non-refundable and non-transferable. The Kids' Run is recommended for children 7 and under. 4k - Capacity 1,200 SOLD OUT! Can't be combined with other discounts. Not valid on Kids' Run. Valid on online registrations only. Can't be combined with other discounts. Must register all participants under one transaction. Not valid on Kids' Run. Can’t make it to the race but still want to experience the excitement and achievement? 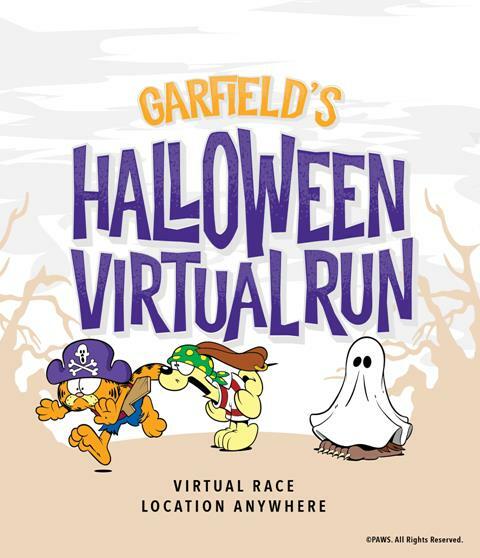 Sign up to run the virtual race with Run with Character! Use Facebook to Leave a Comment on Track Shack's Garfield Halloween Run/Walk- 4k SOLD OUT / Kids' Run 49% FULL - We'd love to hear from you!